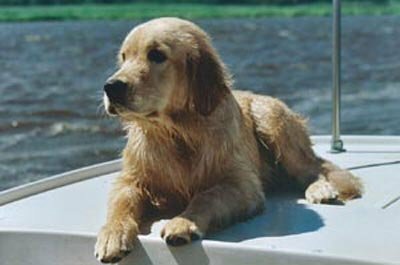 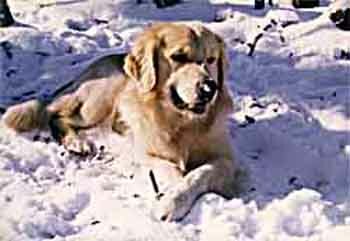 The Golden Retriever is a powerfully built and well-proportioned dog, whose looks bring to mind a breed designed to hunt and retrieve. 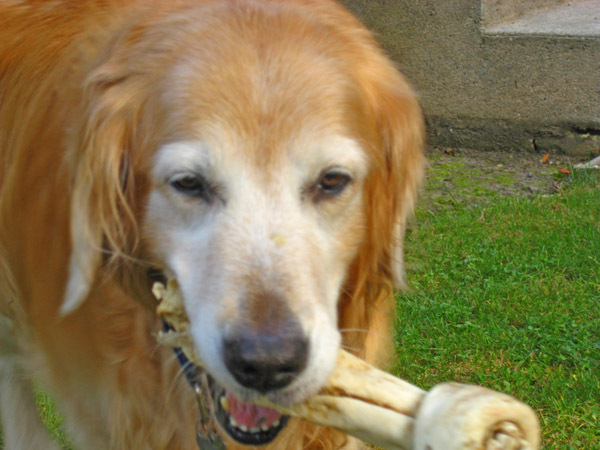 The skull is broad and rounded, with a well defined stop and smooth muzzle with a scissors bite. 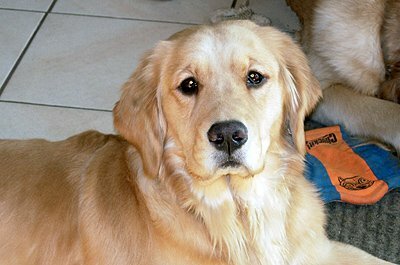 The nose is black or dark brown, and the eyes are deep brown with an amiable and intelligent expression. 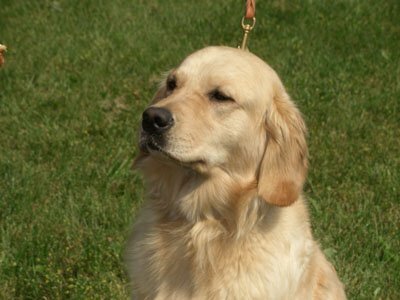 The neck, chest and forequarters are strong and well developed; the back is level and the body is short coupled. 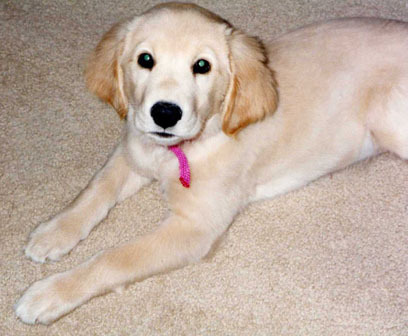 The feet are medium sized and round, and the tail is thick and carried horizontally. 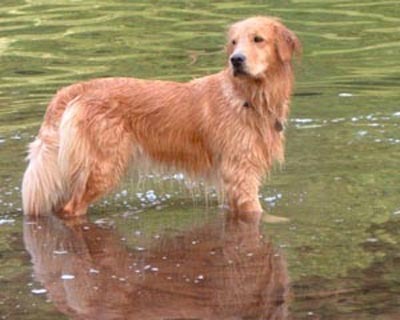 The coat is dense and water repellent and can be either straight or wavy, with some feathering on the forelegs and underbody; coloring is in solid shades of gold, without any other markings. 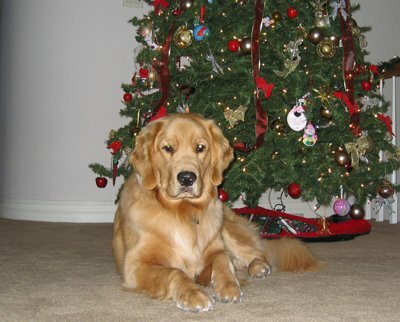 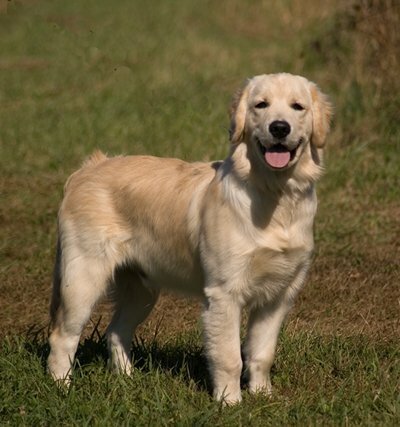 Height (Male) 23 - 24"
A properly trained Golden should be calm and polite in the home but ready to go for a romp outside at the drop of a hat. 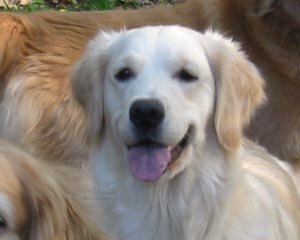 Golden Retrievers enjoy being treated as an integral part of the family, and the breed will return the affection you shower on it tenfold. 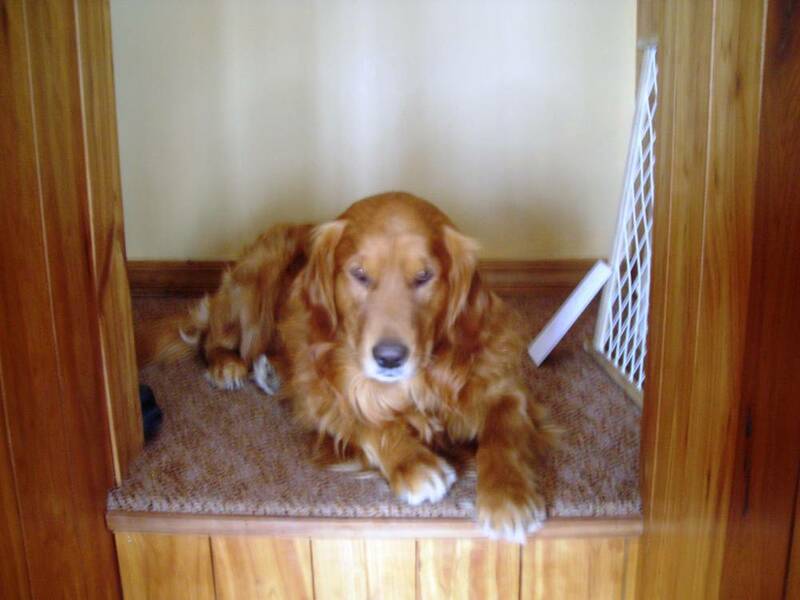 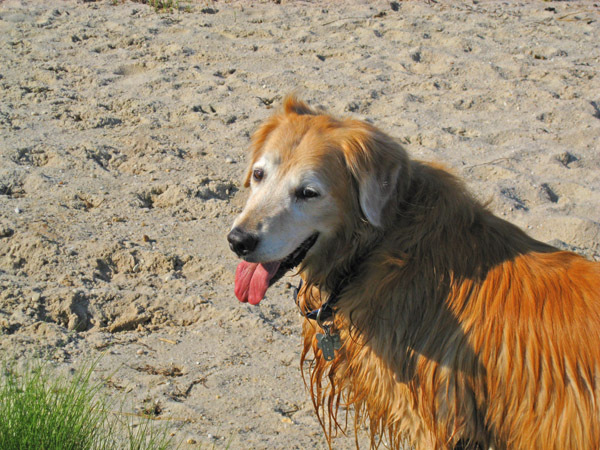 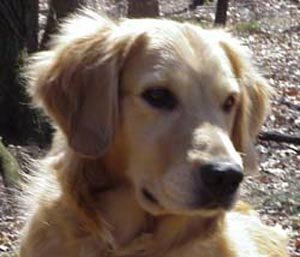 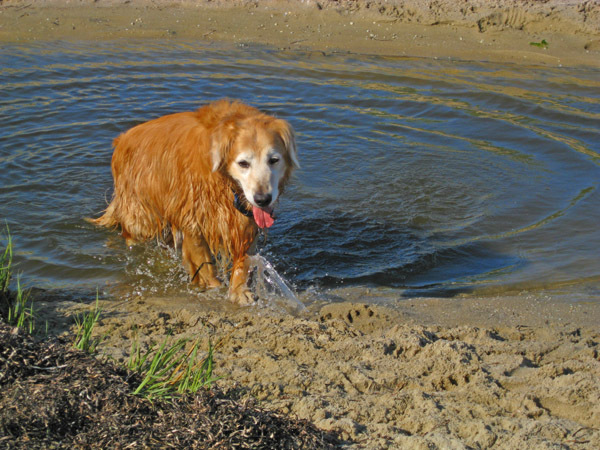 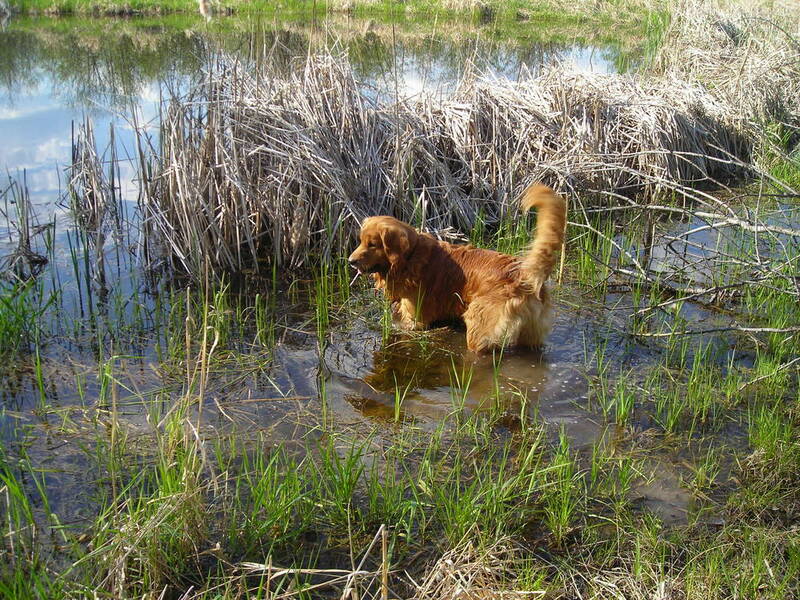 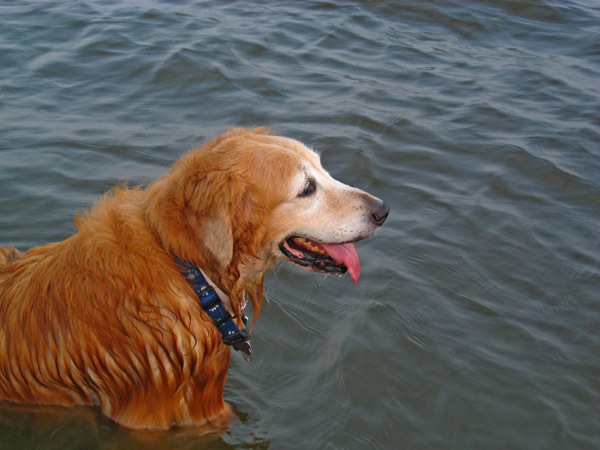 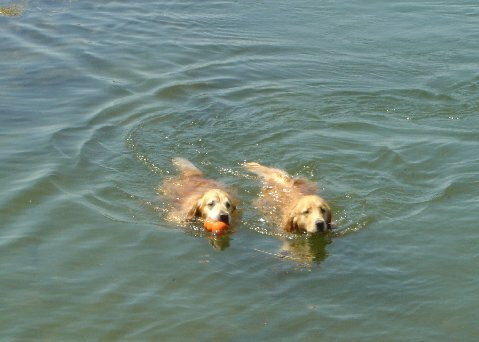 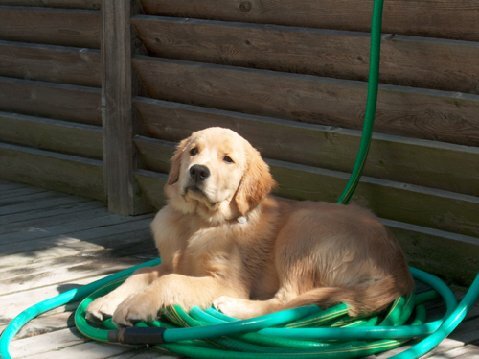 Because of the dogs endearing nature, many owners have a tendency to spoil their Goldens and fail to train them properly in obedience. 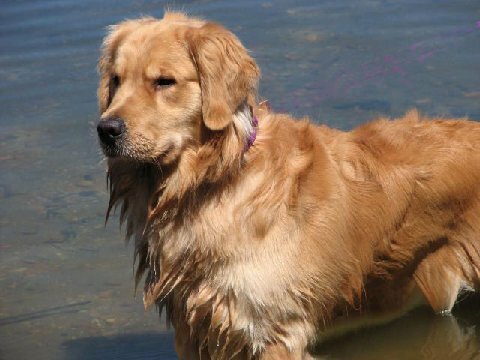 Do not let this happen, as a poorly trained Golden Retriever tends to be rowdy and obnoxiously over-energetic have fun with your Golden, but make sure it is always clear who is boss. 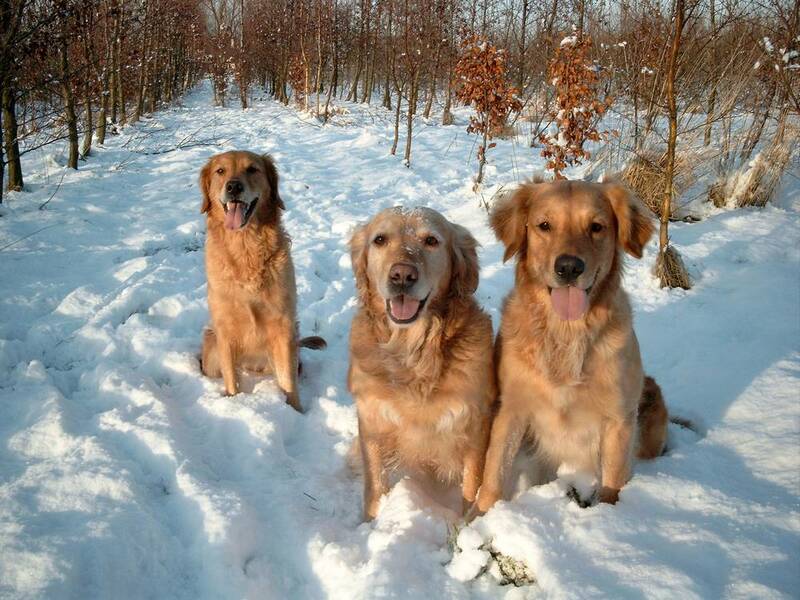 Ever obedient and eager to please, the Golden Retriever has no problem making friends with strangers, cats, other dogs and children. 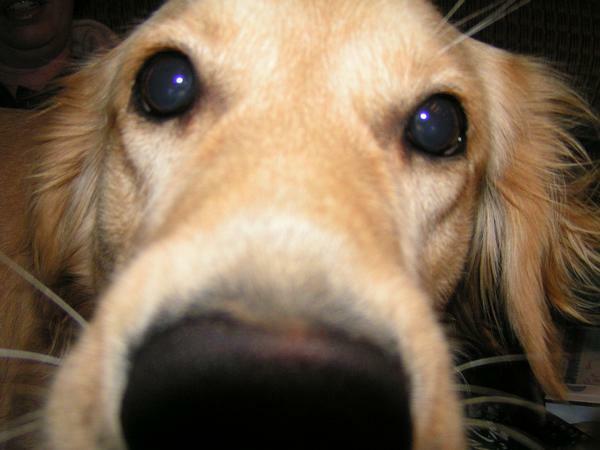 Make no mistake this dog is a people pleaser. 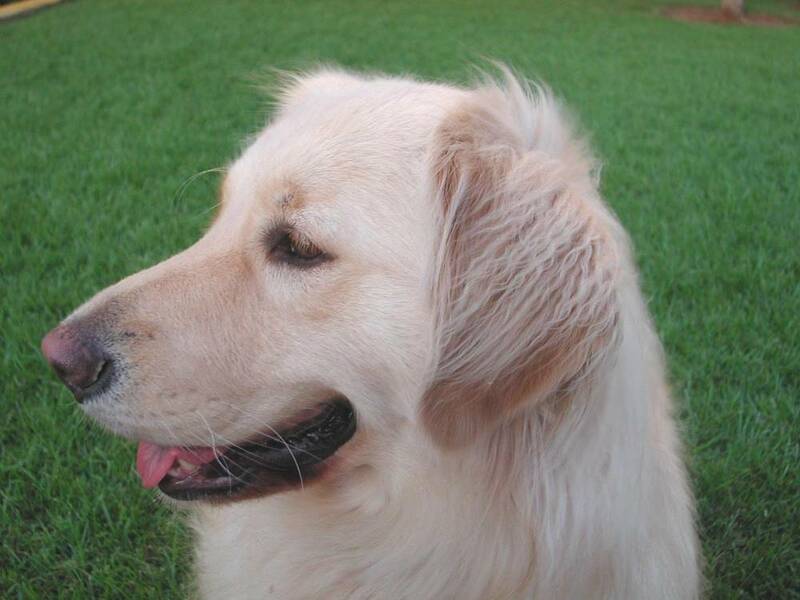 Daily exercise and challenging obedience lessons and games keep this breeds body and mind in top form. 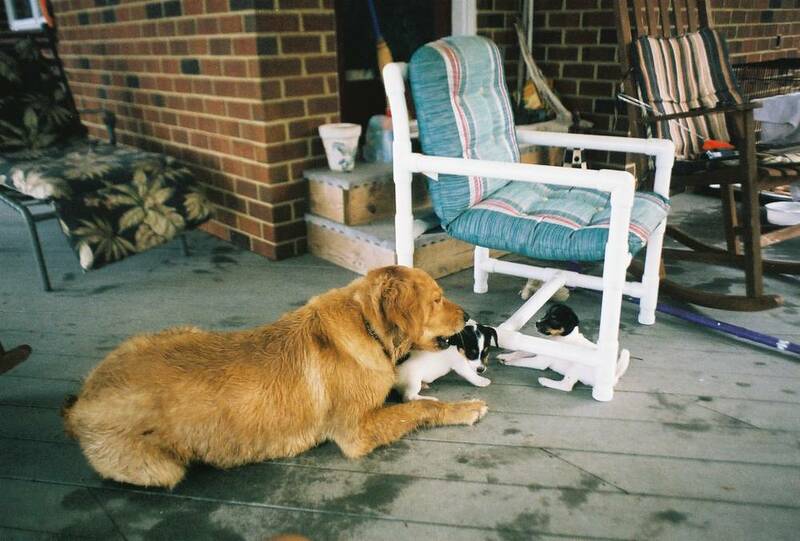 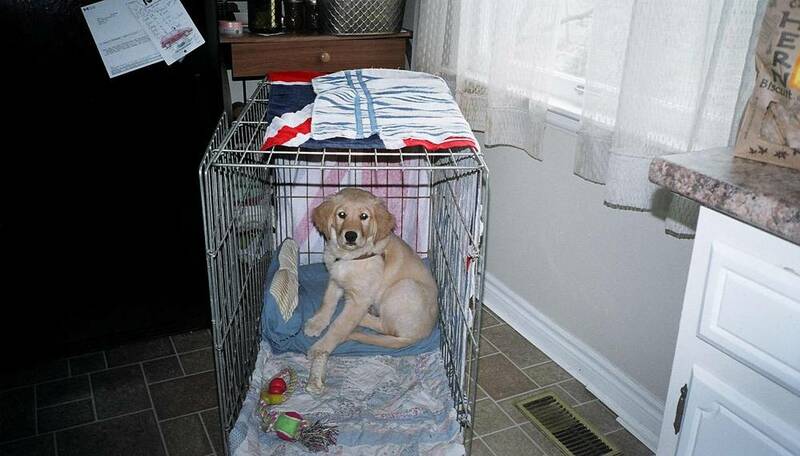 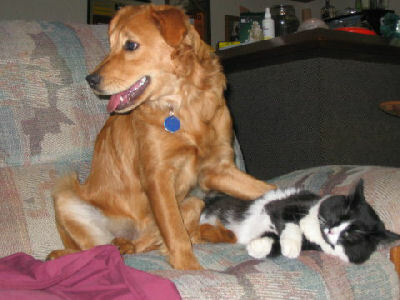 Although it can live outdoors, the dog prefers to live indoors with its family. 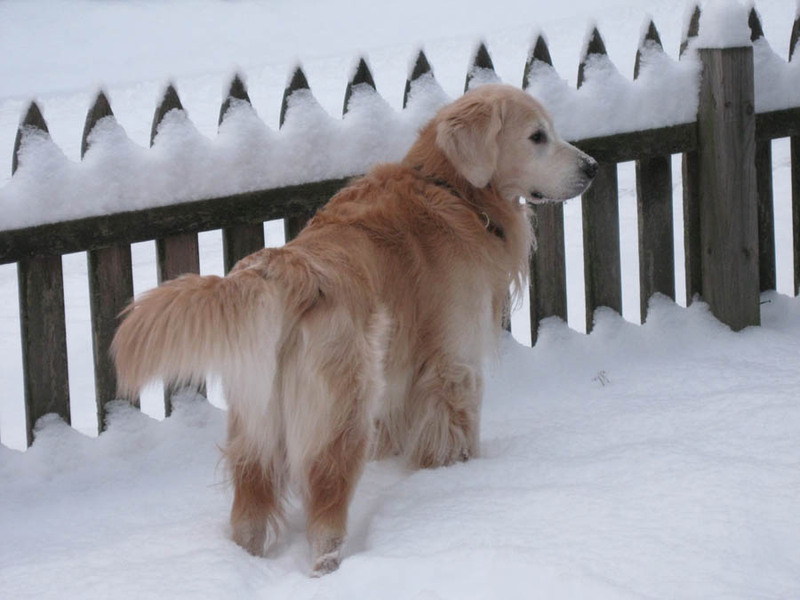 The coat does not mat but needs twice-weekly brushing. 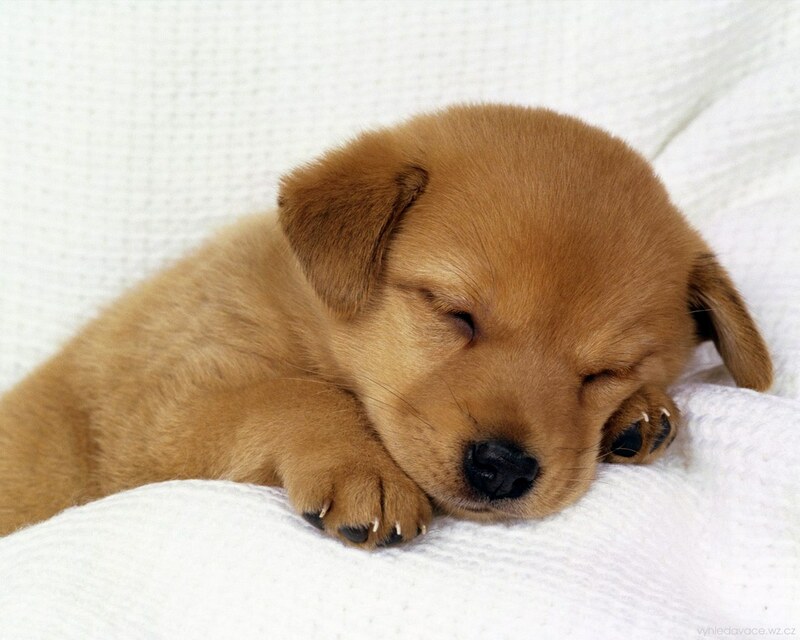 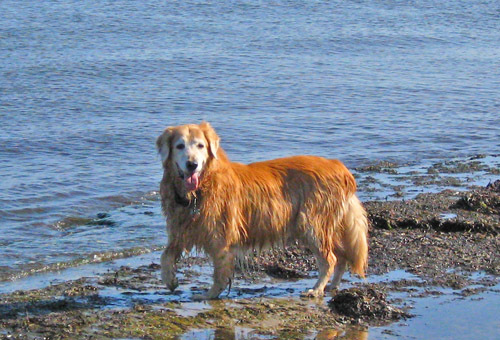 Major health concerns include canine hip dysplasia, allergies, lymphoma, ear infections and hemangiosarcoma. 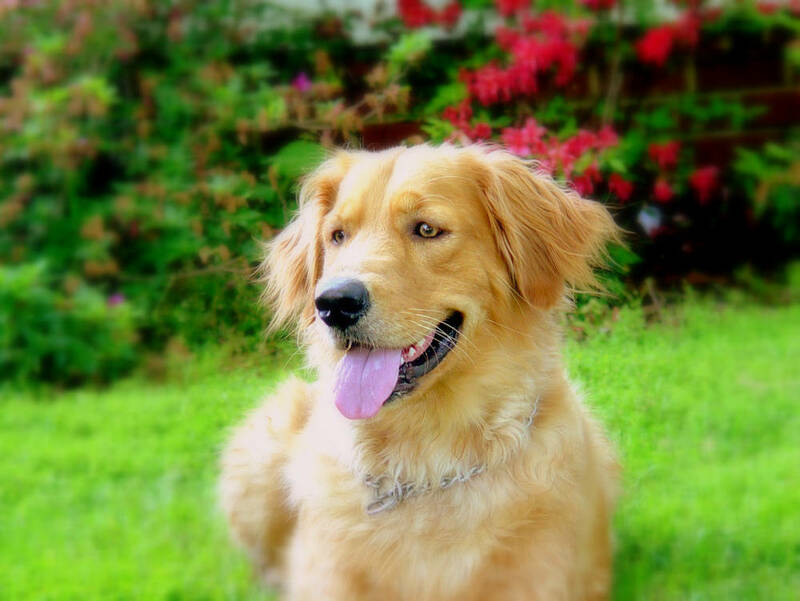 Less common conditions seen in this breed include elbow dysplasia, entropion, seizures, mast cell tumors and hypothyroidism. 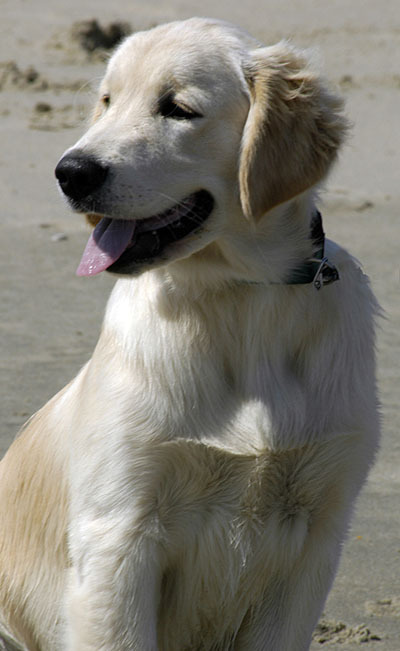 Scotlands Lord Tweedmouth is credited with developing the breed, which is primarily the product of a cross between a Wavy-Coated Retriever and a Tweed Water Spaniel. 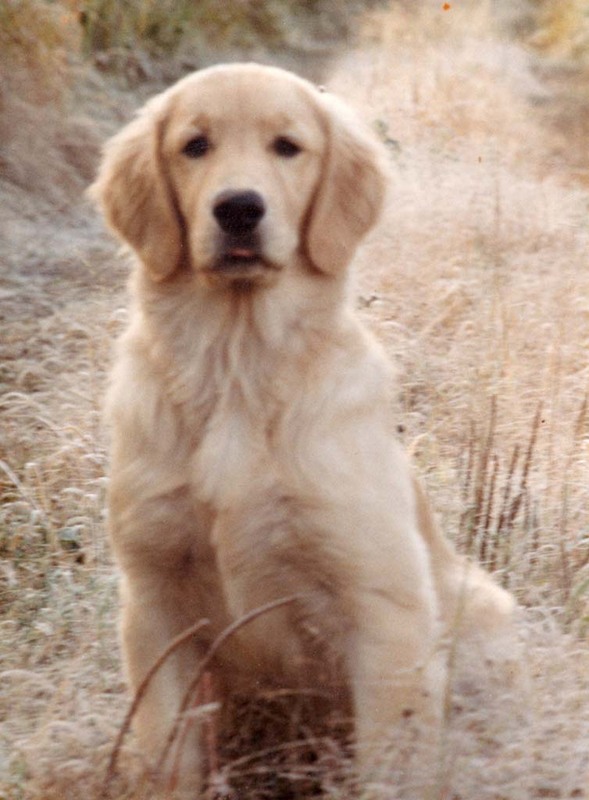 From this initial pairing came four puppies, whose progeny were at one time or another were bred with other retrievers, spaniels, setters, and even a Bloodhound, in an attempt to accentuate the features desired by Lord Tweedmouth. 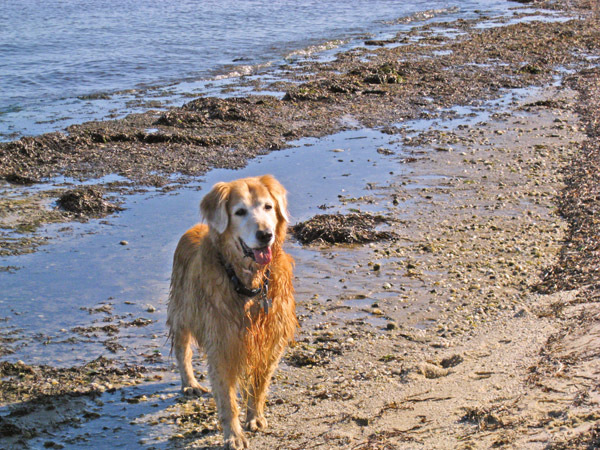 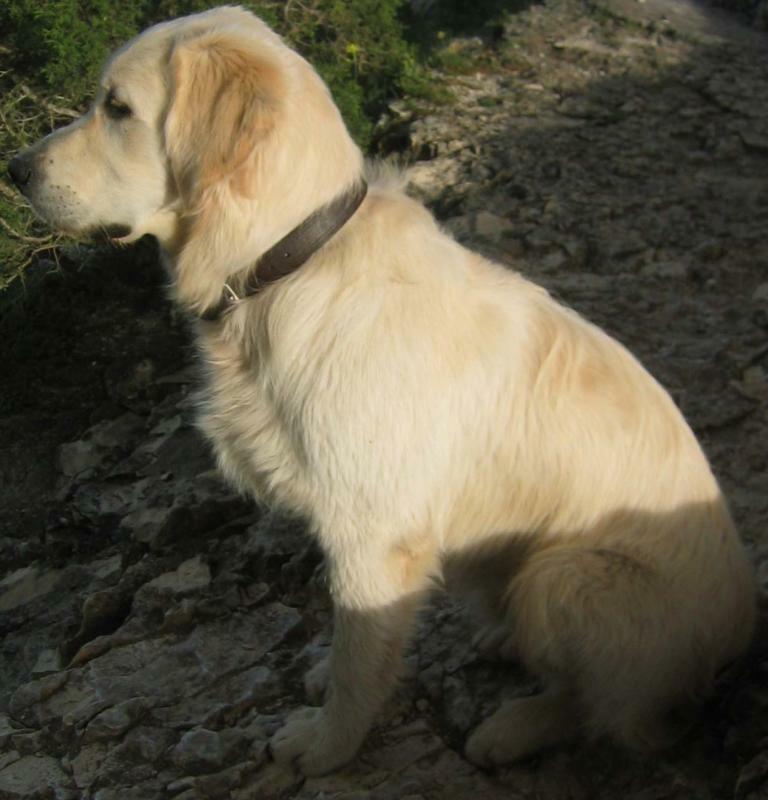 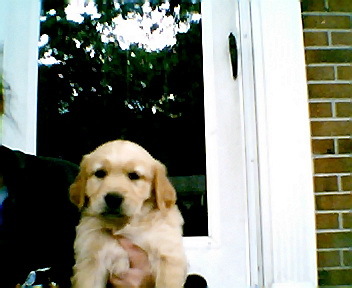 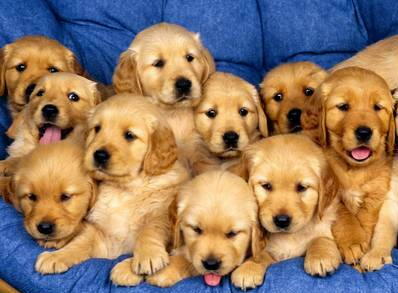 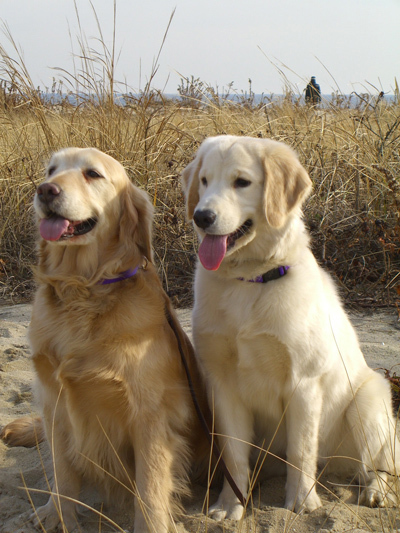 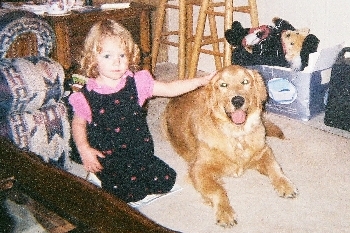 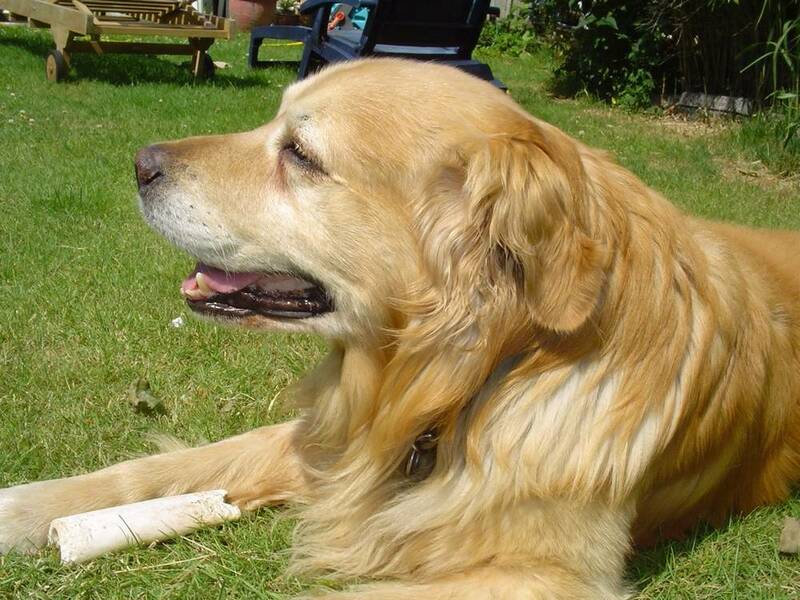 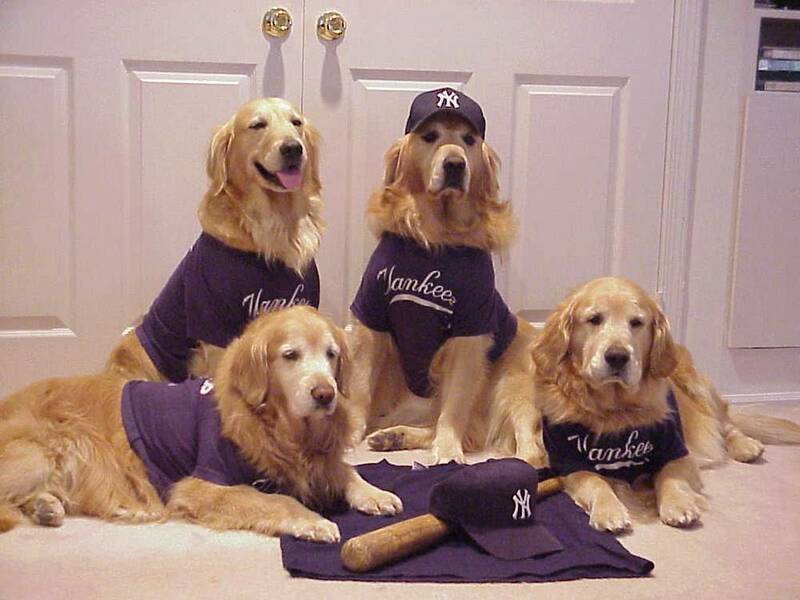 Lord Tweedmouths sons brought the first Golden Retrievers to American in 1900, where they caught on immediately. 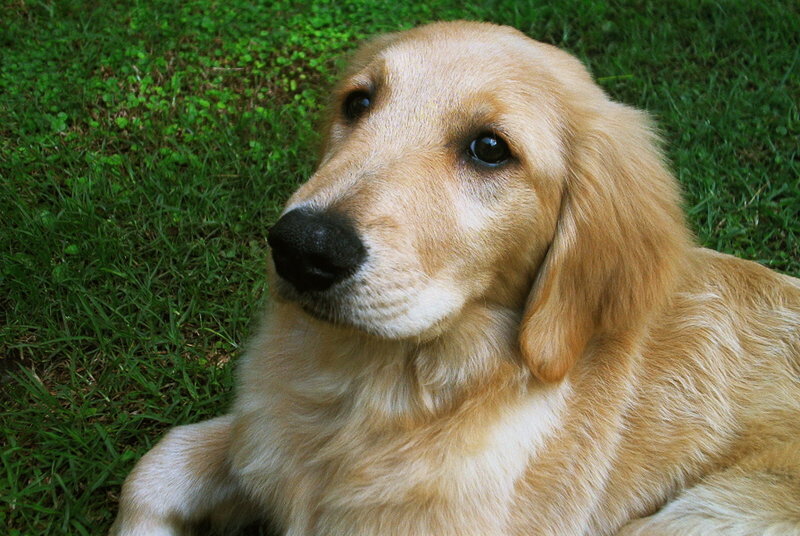 At first considered to be a variety of Flat-Coated Retriever, the Golden Retriever was later recognized as a separate breed in 1912 and recognized by the American Kennel Club in 1925. 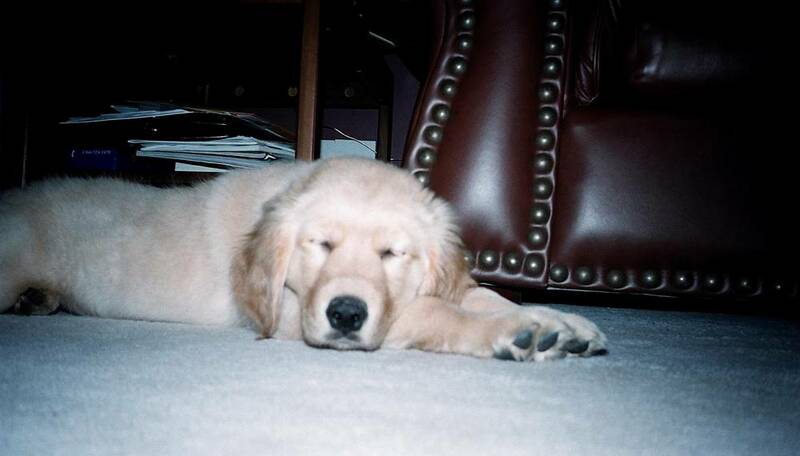 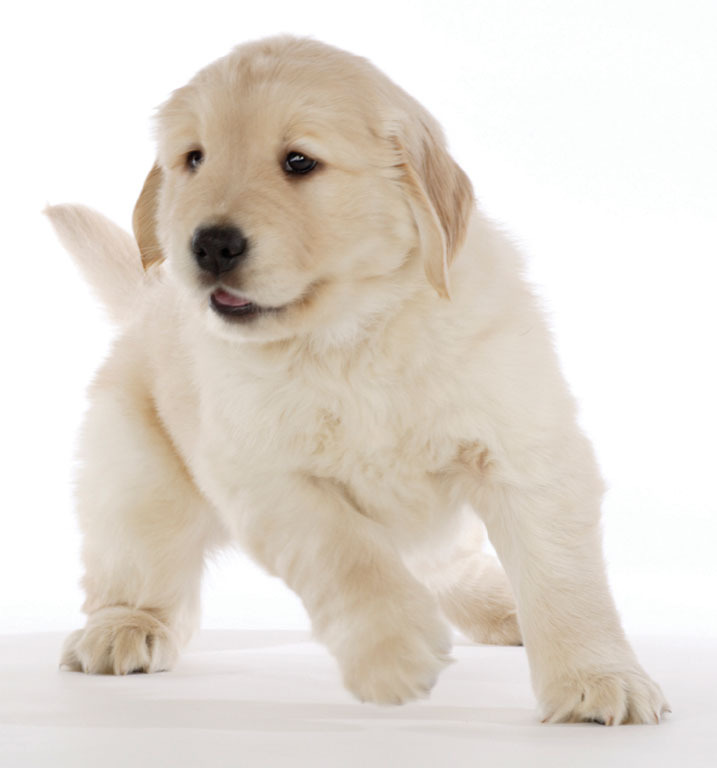 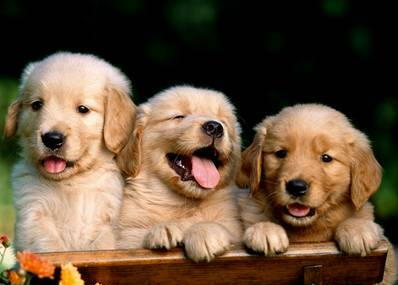 Today, the Golden Retriever is the second most popular dog in the United States, second only the Labrador Retriever in number of dogs registered with the AKC.